Oh my goodness. I just watched the worst ever video. It isn’t that the video was bad, but it took me back to when I had to put my dogs down. Brandie became sick very suddenly, Mattie couldn’t eat and was very sick and Maverick was old, couldn’t get up and walk, deaf and just the sweetest old dog. I was watching this video of this lady that was with her dog Daisy as they put her down. Now I’m a basket case. 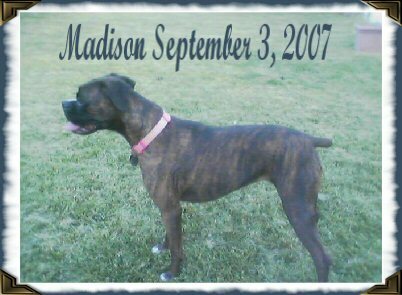 I can’t help but be transported back in time to when I had to take Brandie and have her put down. They gave me her collar and leash. It was the hardest thing I ever had to do. When I walked into the house with just her leash and collar Bridgette and my mother in law broke down in tears. The whole drive home was like someone kicked me in the stomach. If anyone has a pet that is a family member and you had to put them down, you know what I mean. Then I think of Maverick. We got him at 8 weeks old. 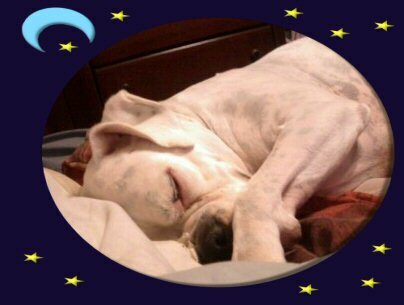 He was a white boxer that had a ton of personality. He was 11 when we put him down. To this day I still feel guilty over yelling at him when he peed on the floor because he couldn’t get to the door. I know he couldn’t hear me and it was beyond his control. But I think back to Maverick and hope that he forgave me for getting mad at him. He was my husbands dog and there was nobody like Maverick. He would fake sleep in daddy’s spot and loved to rough house. Maverick got a hold of some dog food from IFA and he and my other dog Mattie had a reaction to it. I will never forget and always warn people to not buy that kind of dog food. We just feed them it while we waited to go into town… Within 2 days of eating it, they were both sick. Maverick had scars from open wounds all over his body. Mattie died about 3 months prior to Maverick. Every-time I see Maverick, Matties and Brandies face, I can’t help but think about them happy and healthy. And if there is anyone that says dogs aren’t in heaven, I don’t want to hear it. My sweet Mattie. What a sweetheart she was. She had the smelliest breath, but the sweetest disposition. We adopted her from Almost Home Arizona Boxer Rescue. 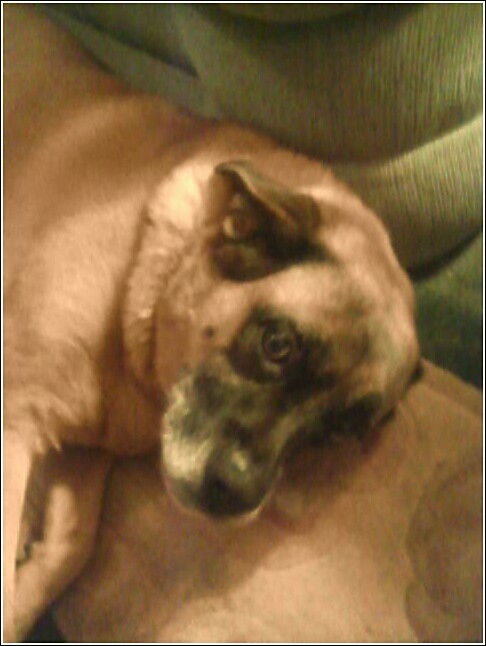 She was my dog and loved to be loved. Here is a video that I did of Maverick, Mattie and Julie. We were fostering Julie at the time. Right after this video was made is when we gave them the dog food that got them sick. It makes me sick to think about it. I’m so glad I video’s them playing. Not a week goes by that we don’t watch this video. It breaks my heart to see them so healthy and then dog food is what took their lives. This video of this woman with her dog ruined my night. It’s the same feeling I got when I watched Marley and Me. I will NEVER watch that show again. And as I type this blog post, it feels like I’m reliving the drive home with Brandie. I miss that dog so much and I miss Maverick and Mattie. I know pets die, but for us, they are family and it was like a part of my heart went with them. If you want to see the video I’m talking about, click here. I warn you that if you have ever had a dog put down or love dogs, this is a hard video to watch.